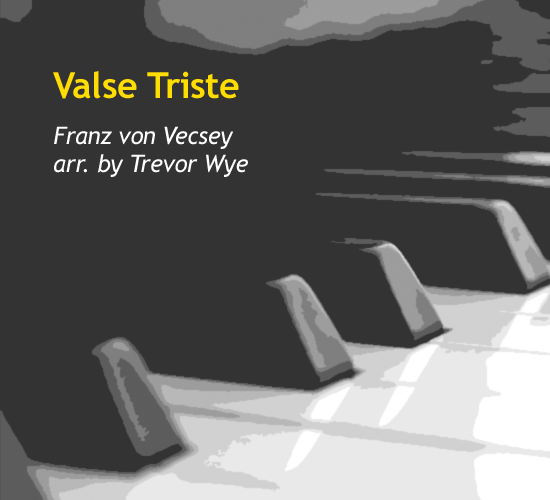 Franz von Vecsey (March 23, 1893 – April 5, 1935) was a Hungarian violinist and composer. 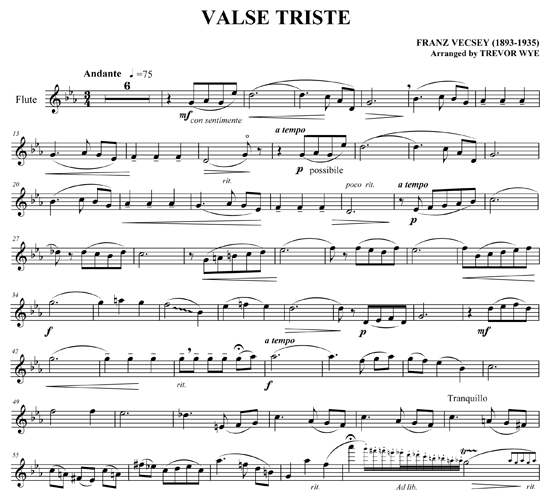 He became one of the most famous violinists in Europe in the 1910s and ’20s, once touring with Bartok as his piano accompanist. 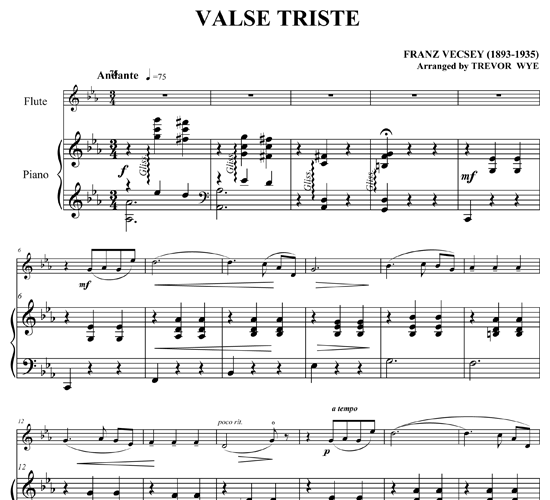 This haunting “Valse Triste (Sad Waltz)” was composed in 1913. 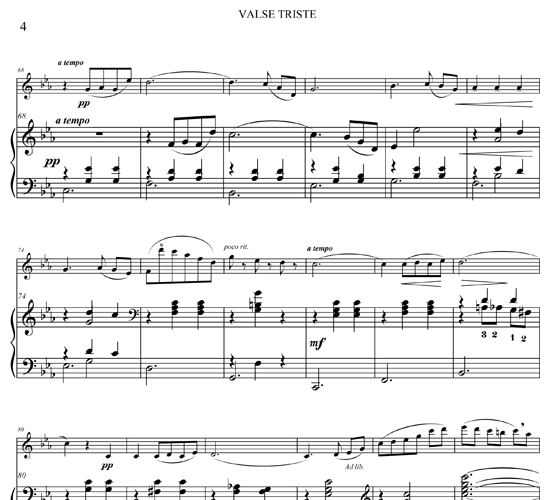 The end of this arrangement for flute and piano was altered to fit in more with the flute’s capabilities. Select one of two formats. 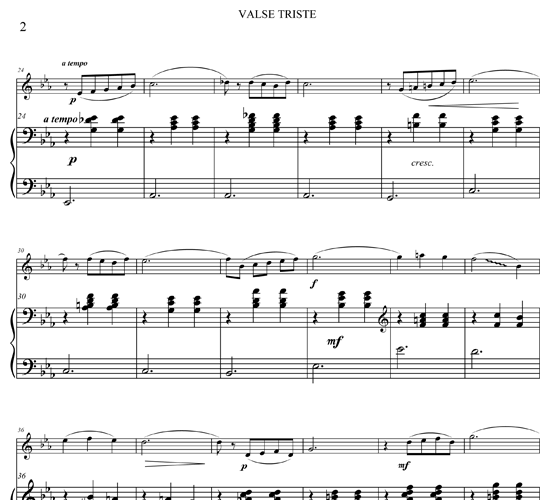 The $9 PDF format contains just the sheet music. 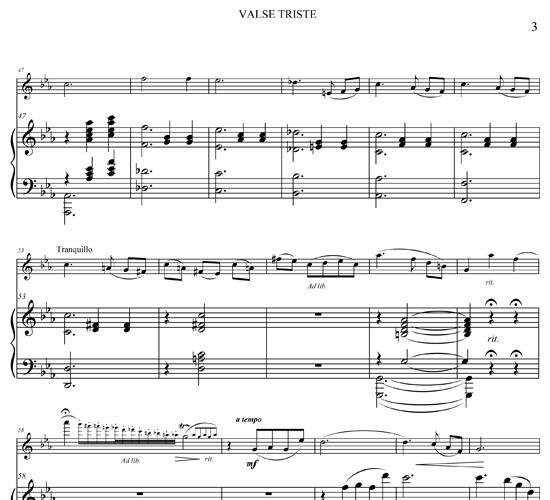 The $12 PDF & MP3 format includes the sheet music with piano accompaniment as audio MP3 files.